However, the reversal of the appointment of Van Rooyen — after four tumultuous and deeply damaging days — and Zuma’s reappointment of former finance minister Pravin Gordhan reflects more on the state of the presidency and a new vulnerable era for Zuma and his benefactors. 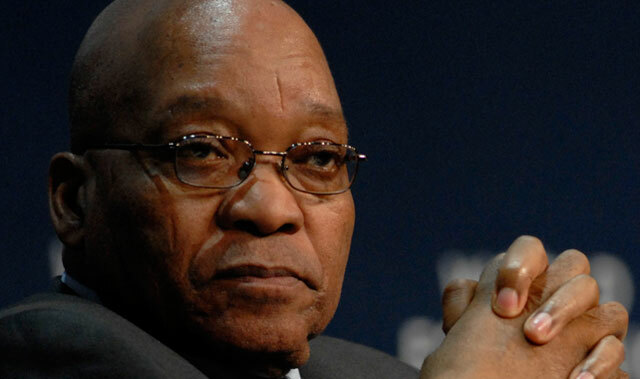 Without a doubt, such messy, indecisive and short-sighted decision-making has damaged Zuma. From “capturing” the treasury only a few days ago, Zuma must’ve come perilously close to a palace coup; he must’ve been cornered by a segment of his own senior leadership both in-and-out-of cabinet to restore a semblance of positive governance and attempt to undo the damage. The stunning reappointment of the respected Gordhan indicates the levels of consternation that must’ve prevailed within the ANC this weekend. But, for Zuma, it is a massive political defeat. And, the president now is more vulnerable than ever. Zuma’s own iron grip has been dented — a flip-flopping political head-of-state now becomes a potential lame duck who may now preside over the ebbing away of this own political support base. This was a moment in which the powerful president of South Africa was confronted — and flinched. And this represents a sign of weakness — a chink in the armour — that is not the friend of sitting heads of state. As for the effects on the domestic markets, there will be a substantial element of relief. 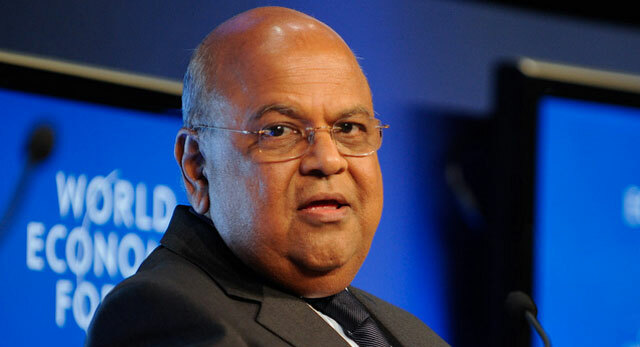 The rand is likely to see some upside and Gordhan’s own relatively intact track record and political gravitas will fuel a much-needed more positive sentiment — at least in the short-term. At the very least, there will be relief that a known (and respected) entity like Gordhan will hold the purse stings rather than the vastly inadequate Van Rooyen. Although the question marks over the SAA Airbus financing deal and the nuclear programme remain unanswered, one would hope that someone of Gordhan’s political and intellectual gravitas would protect himself by imposing some conditionality in accepting the position. Indeed, should there be a pull-back on these two critically important issues, he will have shown that he retains autonomy over treasury and is supported in this by strong centrist elements now openly hostile to Zuma. But ultimately, the fundamental questions around the economy remain. Will excessive spending and patronage-induced capital outflows (like that of SAA) continue? Will the nuclear programme still see a massive capex commitment from an economy staring down junk-bond status? Above all else, can Gordhan rescue the National Development Plan from the trash bin and attempt to begin implementing prudent, socially uplifting and market-friendly economic policies? Whatever the short-term consequences, the real change of the last few days has been political. And a political change is required in South Africa to kick-start real economic delivery. What defeat? He still has his grossly large bottom firmly on the back seat of a very expensive vehicle in a very UNNECESSARY blue light convoy funded by South African taxpayers, many of whom cannot wait to see this effer resign and bugger off to Nkandla asap. He’s still giggling and we are still PAYING for him and his stupid and dangerous schoolboy errors. If this creature had a half an ounce of dignity and ethics in his overfed being he would bloody well RESIGN today and say his apologies on nationwide TV! Will he? No he will not, he’s simply another manifestation of the curse of Afro Liberation: a professional politician. May the Lord preserve us all from them and their ilk. What if this was a ploy to manipulate the Rand/$ exchange rate. Speculation on the forex markets could have yielded handsome returns on a currency that lost around 10% and gained the 10% back in a matter of days. with 400/1 gearing anyone with insider knowledge could have made up to 8000% return in one week. One could have conservatively and easily made 1000% return. In other words turn R1M into R10m or R10m into R100m. I have not read anywhere anyone mentioning the possibility of deliberate currency manipulation, everyone is just focusing on how stupid the president is when this may be part of an elaborate plan. On the one hand, the Honourable Zuma is far sneakier and cunning than he’s generally given credit for, especially on this forum. On the other hand, he could have deliberately risked his political security and reputation … Nah. There are still enough Shaiks about to give him all the boodle he needs without pulling this sort of stunt. All Zuma is focussing on is himself for gain. He could careless about South Africa his actions are manifestations of that. He laughs off serious security issues perpetrated by the Gupta’s. His string of problems keep recurring every 9 months giving birth to a new violation. When will the ANC realise that their cause for the people is no longer! Its about enriching only themselves. Not a mystery now its in worldwide publications from Bloomberg to NY Times. Time to impeach if the ANC have any integrity left. Up until 2009 SA debt was 26% of GDP under Zuma its 56%. Wake up SA! Zuma is SA economic ISIS!! SA’s total debt mountain has exceeded R 2 Trillion long time ago. It is around 49% of annual GDP, and together with the debt of the SOEs, especially Eskom, SANRAL, etc it is 59% of GDP. What I understand of this, that 40% should raise alarm, and above 60% creates a serious risk of tipping over the fiscal cliff. Msanzi is emulating Zim and Greece, it seems. Indeed, JGZ and his cronies do not give a F***ing damn about the country, the people and it’s future. As long as they can rake it in, in the millions and billions. Hahaha, the “Honourable Zuma”, is indeed a very sly, cunning, sneaky con artist. Its time to keep the pressure on! He is one big zero! When he came to office SA was the 23rd economic ranked world power followed by Thailand. Today we are 36th. Everything this man touches turns into a pumpkin! “This parrot ceased to be” When you use excuses for all your failures means you have no guts. The ANC are in denial! !